This is Zachary Stevens-Walter, your Advent Sunday School coordinator. 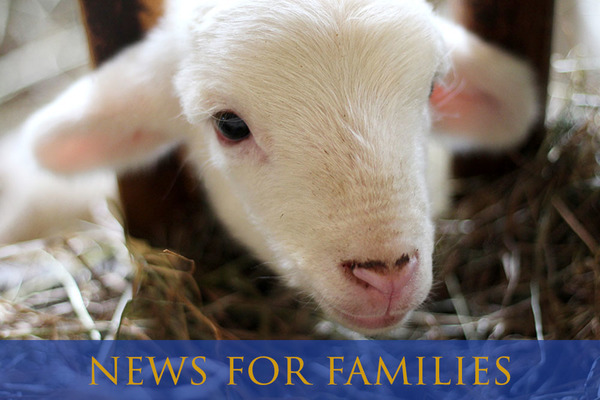 As we continue our regularly scheduled programming after the holidays, our "News for Families" e-letter will include an update from me about Sunday School, followed by an update from Kevin Bowen about Youth Ministry. Do you have ideas about how to improve Sunday School? 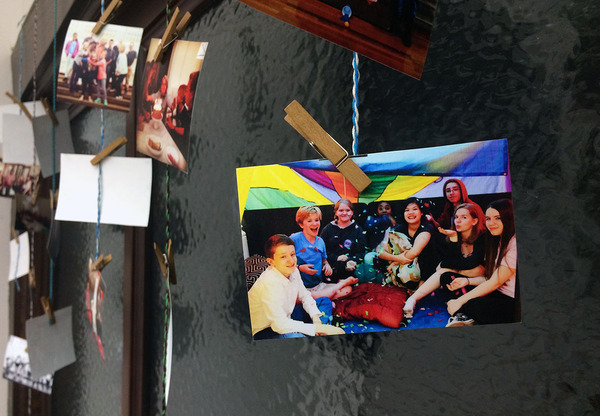 Do you feel God is calling you to be a bigger part of the faith lives of young people at Advent? Maybe you wanted to be a Sunday School Teacher but cannot commit to attending every Sunday. Join the Sunday School Task Force! The Sunday School Task Force will help to guide our Sunday School toward enriching, dynamic, and creative ministry for all ages, and all are welcome. If you are interested, please send an email to me at admin@adventnyc.org. Thank you all, and I’ll see you on Sunday! God’s ways are usually contrary to the way society trains us to think. Who would think that the Messiah would be born into a poor family supported by a father who did manual labor in a small and insignificant place like Nazareth? This Sunday, January 15th, our Sunday School Bible story comes from the gospel of John, when John the Baptist calls Jesus the “Lamb of God.” Lambs are not the biggest, strongest, or the most talented animals around. But John calls Jesus, God’s beloved child, a lamb, and says that he isn’t worthy to untie the thong of Jesus’ sandals. Jesus also said, “If anyone desires to be first, they shall be last of all and servant of all" (Mark 9:35). What does that look like in our lives? Where do we see examples of first-is-last or last-is-first? Come to Sunday School this week to hear from others and share your thoughts! Over the past month, I've heard from several parents and youth about how we might engage more of the 22 youth here at Advent and recharge our Youth Group. If I haven't heard from you, I still want to hear from you! Call me anytime at 805.390.1021, email me at kevin@adventnyc.org, or find me after worship any given Sunday. After a great meeting with 5 of our youth at Youth Night on Sunday (you can see the decorations we added to the new Youth Room above), we are looking ahead to the future -- and I have lots of exciting news. First, we're partnering with Pinecrest, a Lutheran youth ministry program encompassing the whole New York metro area, to offer a special youth event on Friday, March 3 from 7pm to 9:30pm here at Advent. Pinecrest will reach out to their own network of youth to join us, and provide information about their awesome program and summer camp. At the event they'll lead mixers, games, and a Refugee Simulation activity they've developed just for teens, which I hope will be as engaging as it is timely. Second, through an Advent congregant's connection to a Lutheran church upstate, we've been presented with the opportunity to do a Ski and Snowboarding trip as a youth group. I'm trying to gauge how many people are interested and what weekends might work for this. If your teen might be interested, shoot me an email at kevin@adventnyc.org or let me know what weekends could work in this quick poll. Finally, in response to suggestions from several youth, I'd like to plan a Friday night bowling outing soon to offer a chance for everyone to get to know each other better. If your teen might be interested, let me know what Friday nights could work in this quick poll. Other than all that, our next scheduled Youth Night is 6-8pm Sunday, February 5.